Drug shortages remain a source of headache for health professionals throughout the country. Policies that artificially lower prices end up making the production of certain prescription drugs simply unprofitable. In the long run, this situation has the effect of pressuring several pharmaceutical companies to abandon the production of drugs whose profit margins are too small and reallocate their resources to the production of others with a better chance of being profitable. We are missing our target if, by trying to ensure that drugs are safe and sold at low prices, we create shortages. Drug shortages remain a source of headache for health professionals throughout the country. According to a recent survey conducted jointly by the Canadian Medical Association and the Canadian Pharmacists Association and released earlier this month, as many as 94 per cent of pharmacists admitted having had difficulty obtaining a medication over the course of their last week of work. Last year, many surgeries had to be postponed and clinical treatments had to be suspended due to certain essential drugs, in particular painkillers and anaesthetics, being out of stock. Drug shortages are not a new phenomenon. 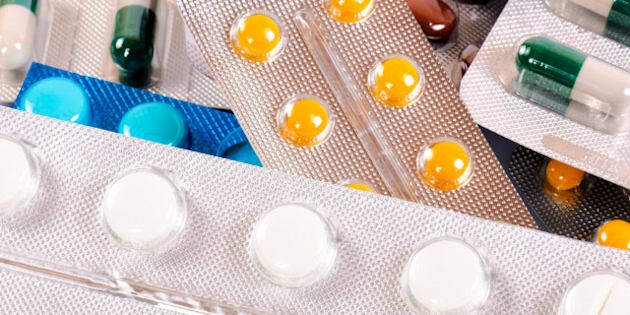 However, certain ill-advised public policies in the pharmaceutical sector have in all likelihood contributed to their increased frequency over the past few years. In Canada, the prices of prescription drugs, whether patented or generic, are heavily regulated by government authorities. The prices of new drugs are fixed upon their arrival onto the market by the Patented Medicine Prices Review Board, a federal organization, based on average prices observed in seven industrialized countries. As for generic drugs, provincial governments determine a maximum price to be reimbursed under the terms of their public insurance plans. This maximum price varies as a percentage -- from 25 per cent to 45 per cent depending on the province -- of the price of brand name drugs belonging to the same therapeutic class. What the provinces are hoping to achieve with these price-cap policies is to bring their drug insurance plan expenditures under control. Although they may be motivated by laudable intentions, these policies do not necessarily ensure good results. Indeed, the multiplication of cases of drug shortages observed in recent years coincides with provincial governments' continued lowering of maximum prices. Policies that artificially lower prices end up making the production of certain prescription drugs simply unprofitable. In the long run, this situation has the effect of pressuring several pharmaceutical companies to abandon the production of drugs whose profit margins are too small and reallocate their resources to the production of others with a better chance of being profitable. It is therefore not a coincidence that current shortages include a higher proportion of drugs whose manufacturing processes are more complex and expensive, and whose profit margins are accordingly slim. Long delays in approving new and innovative drugs do nothing to alleviate the supply difficulties. As underlined in a recent report from the Canadian Agency for Drugs and Technologies in Health, "The backlog of new drug applications awaiting regulatory approval, that could be potential alternatives to drugs in short supply, can also contribute to drug shortages." Before hoping to be able to market a new drug, all pharmaceutical manufacturers must first receive the approval of Health Canada. This process normally takes several years, which is much longer than in the United States or in Europe. Once approved, manufacturers that want their products included on the provinces' formularies of reimbursable drugs must submit a request for each of them. Whether the request is accepted or rejected, the process often requires over a year. On average, barely 23 per cent of the new drugs approved by Health Canada from 2004 to 2010 can be found on these lists of reimbursable products covered by the provincial drug insurance plans as of January 2012. By all accounts, the extended delays and high costs faced by manufacturers that wish to obtain approval from Health Canada for their prescription drugs makes many foreign pharmaceutical companies reticent to launch their products on the Canadian market. The most promising approach for getting around this problem would be to set up a process of collaboration between Health Canada and foreign regulatory agencies. For example, the federal government could sign agreements with other countries whereby drugs already approved in those countries could be subject to an accelerated approval process and marketed more rapidly on Canadian soil, and vice versa. This strategy would not only decrease the drawbacks for patients, but by increasing competition, it would also encourage Canadian manufacturers to invest more in order to avoid supply disruptions. The risk of shortages would therefore greatly diminish. The federal and provincial governments must revisit their policies regarding the management of prescription drugs, because they hinder production and entail abnormally long approval delays. We are missing our target if, by trying to ensure that drugs are safe and sold at low prices, we create shortages and keep many patients from having access to those drugs in a timely fashion.